Australian Jay McCarthy embraced team-mates in thanks after he won stage two of the Tour Down Under today and took the ochre jersey from overnight race leader Caleb Ewan. McCarthy (Tinkoff) claimed a reduced bunch sprint in Stirling with Diego Ulissi (Lampre-Merida) second and defending title champion Rohan Dennis (BMC) third. “I had some good training coming in and I felt like I had some good form. I am not done for the week and hopefully I can keep working hard and even be on the podium at the end,” McCarthy said. The “double bubble” performance followed a strong showing at McCarthy’s national road championships earlier this month in which the 23-year-old, as one of 15 finishers, narrowly lost a sprint to Nathan Haas (Dimension Data) for fourth. “We knew Jay had good form after what we saw at nationals and that was a hard race,” sports director Sean Yates said. Tinkoff was in front of a crash within the last 500m of the 132km race from Unley to Stirling, which Geraint Thomas (Sky) got caught behind and had to unclip. Orica-GreenEdge title hope Simon Gerrans and pilot Daryl Impey were not so lucky and hit the tarmac, suffering minor skin abrasions. “We didn’t lose any time, but we didn’t gain any time,” Orica-GreenEdge sports director Matt White said. 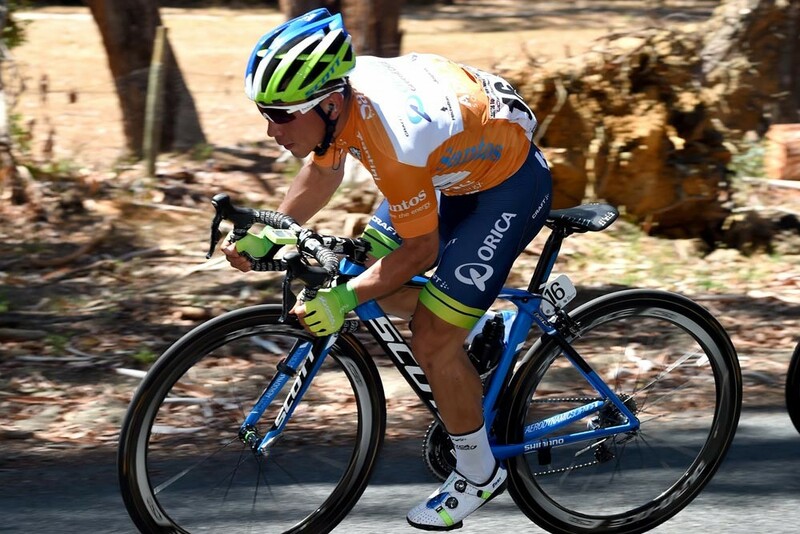 Gerrans despite the bad luck sits third overall behind McCarthy and Ulissi having collected five bonus seconds at intermediate sprints throughout the undulating stage. Overnight leader Ewan was dropped on the final lap of a 21.4km finishing circuit that featured an uphill drag to the line. 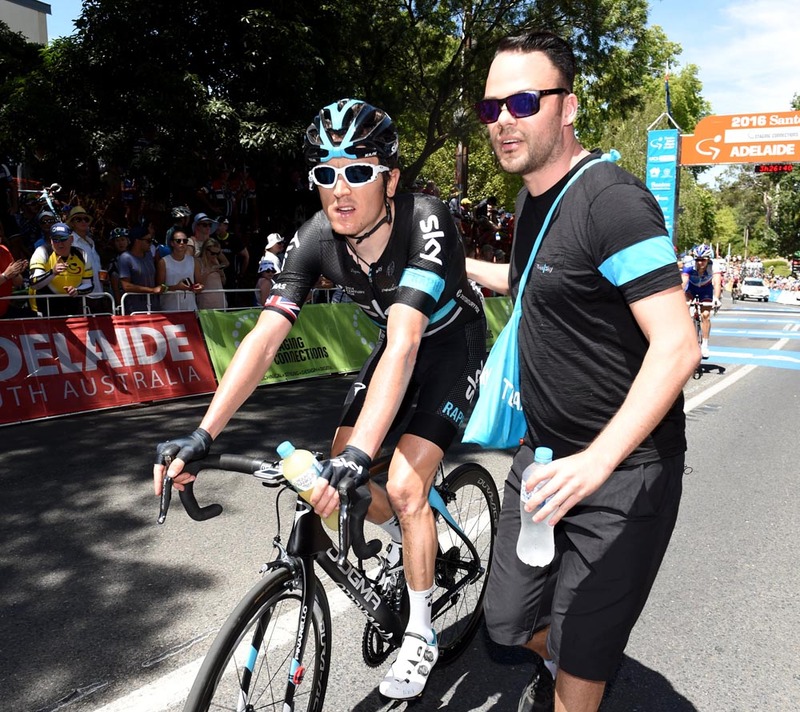 The Australian sprinter had prevented Thomas from picking up time bonuses throughout the hot day. “I had a little look on the first [intermediate sprint], and was boxing on next to Caleb. He is the sprinter everyone is talking about so I’ve got no chance against him really. I think I ran fourth so I had a go. I’m looking forward to tomorrow now, and a good test,” Thomas said. Salvatore Puccio felt unwell at the beginning of the stage and later abandoned due to illness in what was otherwise a relatively conservative race for Sky ahead of tomorrow’s Corkscrew climb, which Thomas has marked as potentially decisive to GC. “We didn’t have to do too much, we had to leave it to Orica-GreenEdge and BMC. They have got the local favourites,” he said. An initial four-man break escaped soon after the start but did not survive. 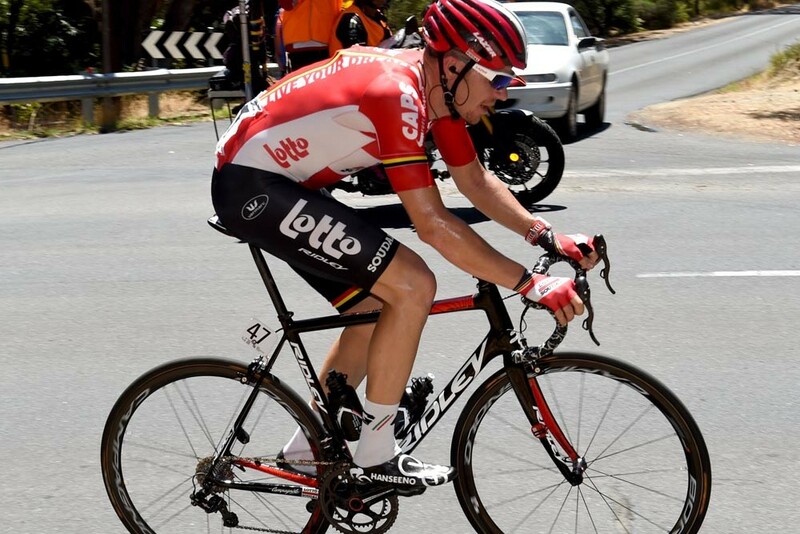 Adam Hansen (Lotto Soudal) waited until the quartet was caught before he launched an attack within the first 30km of the race and stayed away for most of the day. Orica-GreenEdge was ever present at the front of the bunch, controlling the tempo with Hansen’s lead kept around two minutes. BMC moved to the fore inside the final 30km, reducing the gap to less than a minute before the Australian was caught with 20km remaining. A number of teams then began to mobilise but it wasn’t until the final kilometre that the attacks, including a move from British national champion Peter Kennaugh (Sky), began and were then countered. 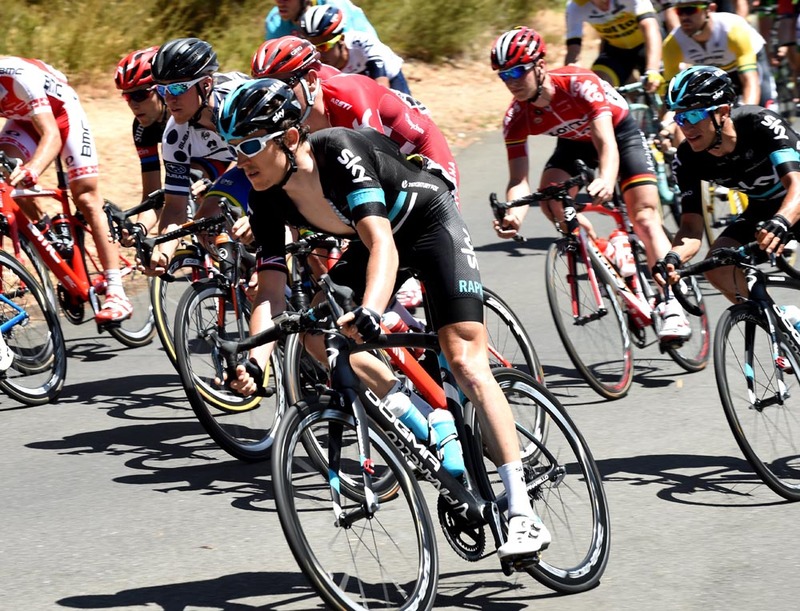 The race continues tomorrow with the 139km third stage from Glenelg to Campbelltown.